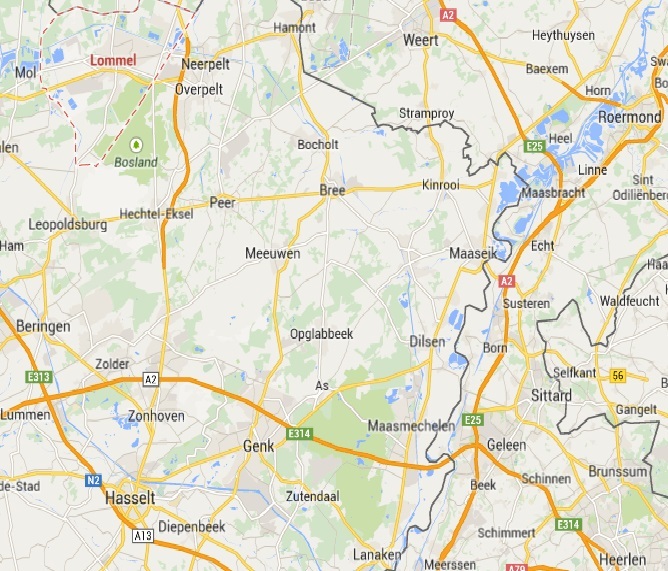 This is a ride for people who like flirting with national borders; in this case between Belgium and the Netherlands. It is rural and navigated by long avenues and canals. The route takes riders across the border, I presume, in order to visit the historic town of Thorn (below right). 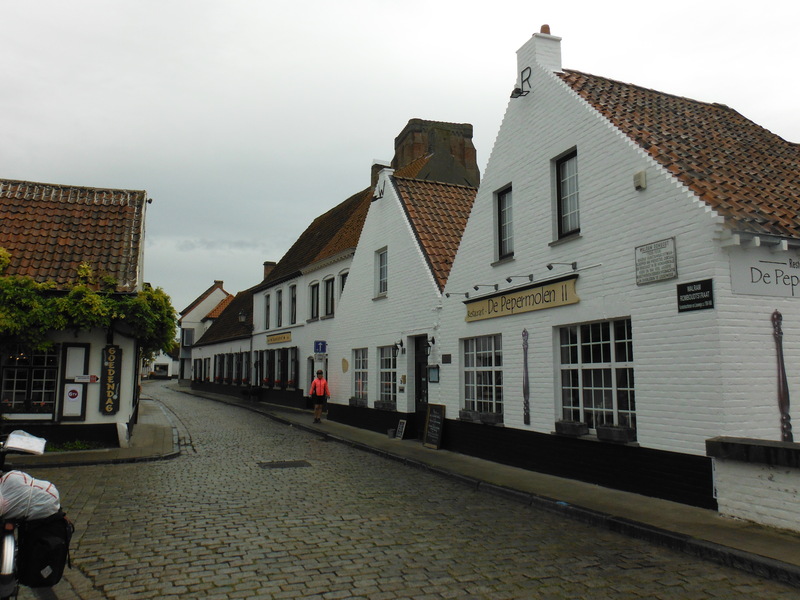 It is called “the White Town”; seemingly, there are 105 protected white houses in the town. The church is also impressive. It is a good place for lunch, too. 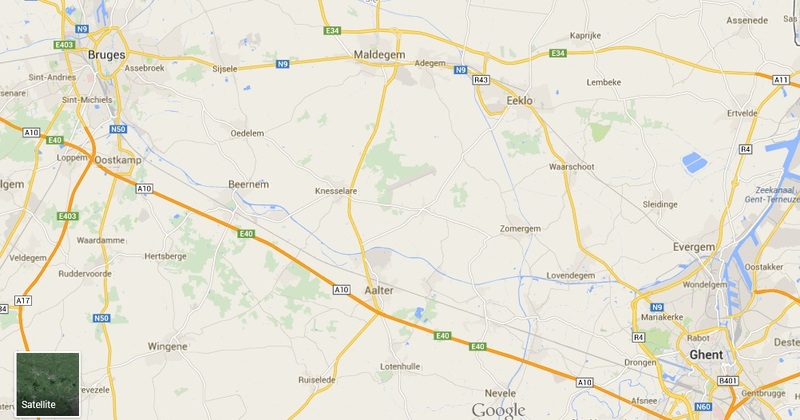 After Thorn, it is back into Belgium and due south towards Maastrict. En route riders pass through Maaseik. 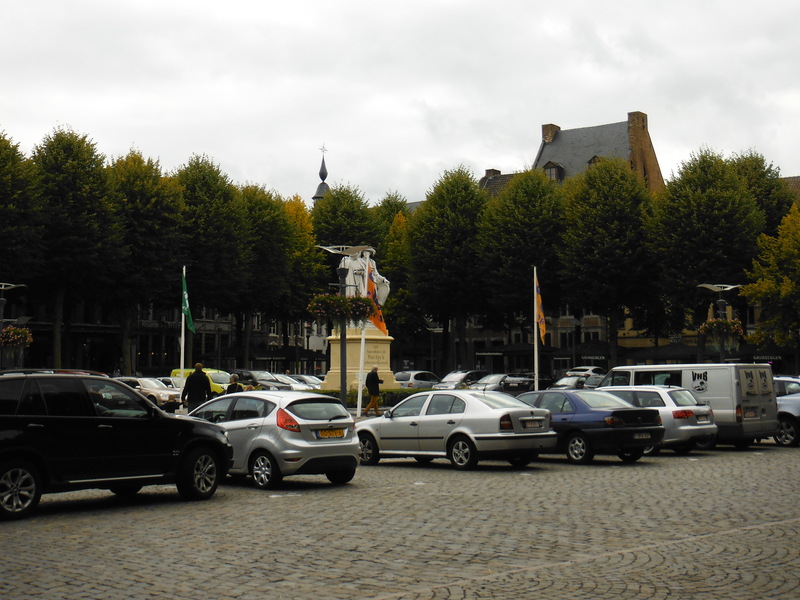 Maaseik boasts a large central square (below, left) a museum and a couple of churches. 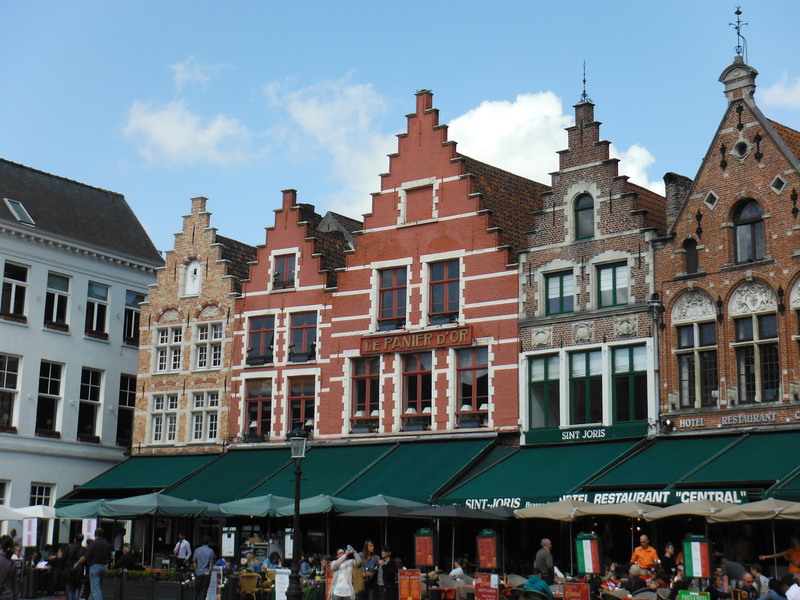 It is the birthplace of Flemish painters Jan and Hubert van Eyck whose statues are in the central square. It was late afternoon when we left Maaseik. 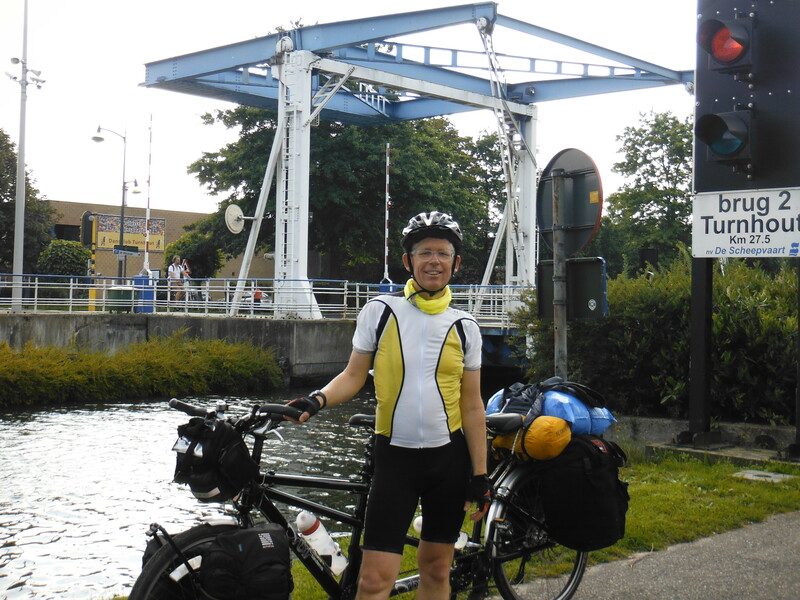 We refuelled with ice-cream and burned it off along the Zuid Wilemsvaart (canal) and crossed the border again at Smeermaas. In search of hotels on the approach, we ended up in the main square, Vrijthof, that was hosting the annual raucous food festival. The raucousness came from the huge volumes of alcohol being consumed after the eating. Despite that, we found a quiet room in the adjacent Hotel Du Casque. Maastricht is busy. The shopping streets on the western side of the river are largely car free. 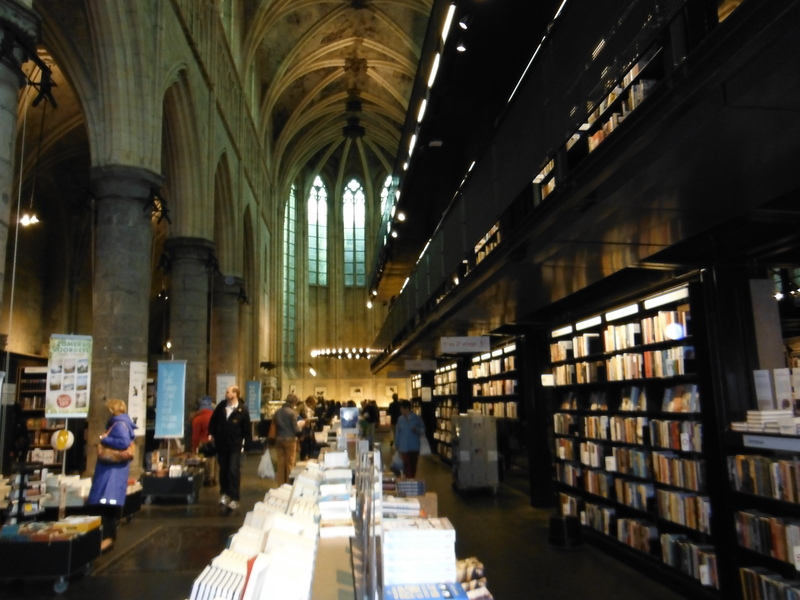 There is not much that is unique from any other significant town across Europe with the possible exception of the Boekhandel Selexyz Dominicanen (bookshop) in an ancient (1294) Dominican church (right). The east side, however, is modern but conversely more eclectic. 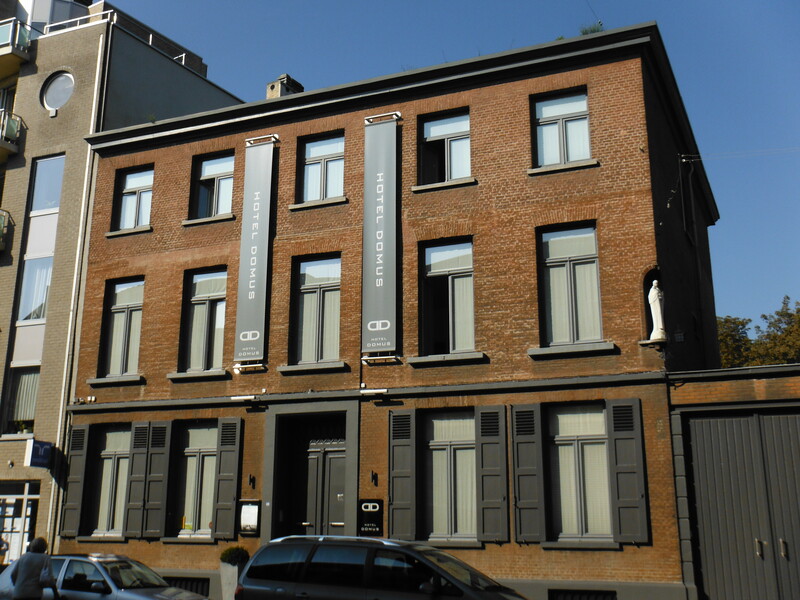 It is home to the fantastic ceramic centre (left; when staying in Maastricht, visitors pay tax on hotel rooms for all of the museums and some public buildings like this one). There is some exquisite pottery inside to view. 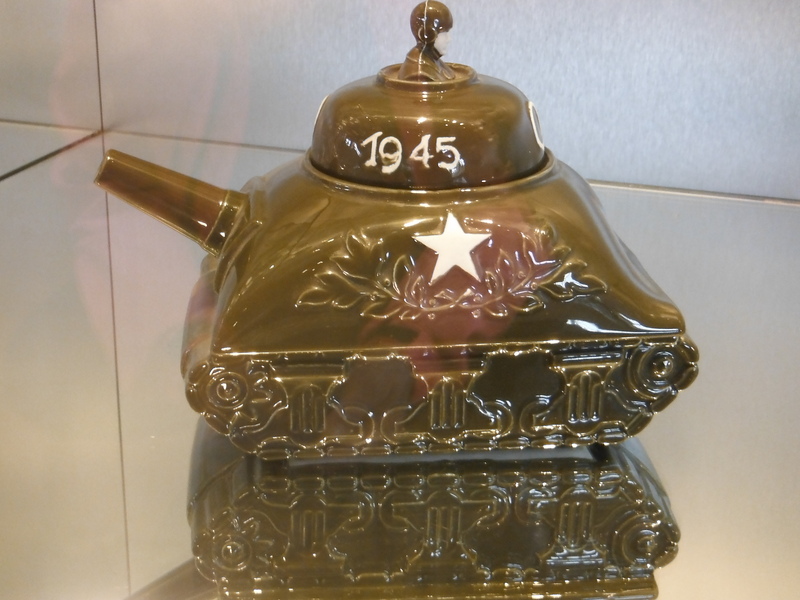 There is also some peculiar items like the tank teapot (right). It is also home to the ‘drogerie’ with the most wonderful window display and a vegetarian restaurant as good as any (left). 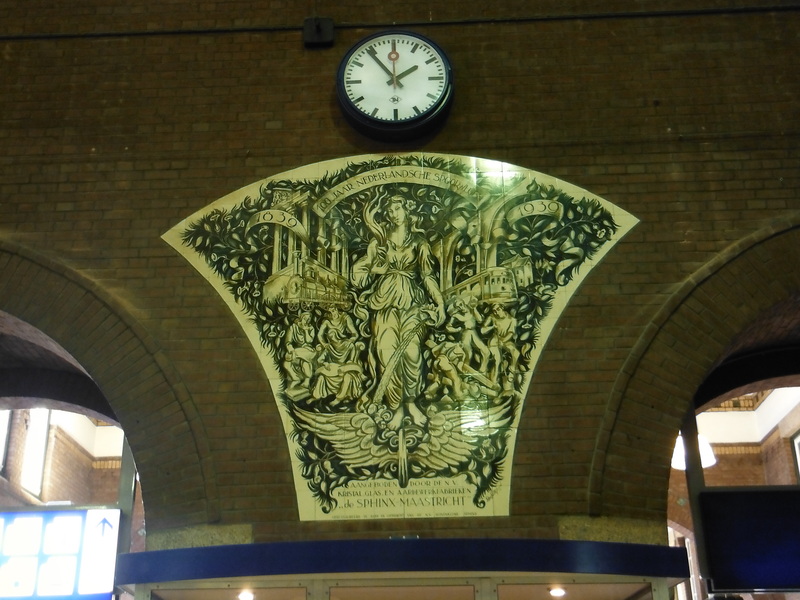 And not forgetting the railway station with its ceramic sphinx (below right). The route between these two cities for the cyclist is magical. 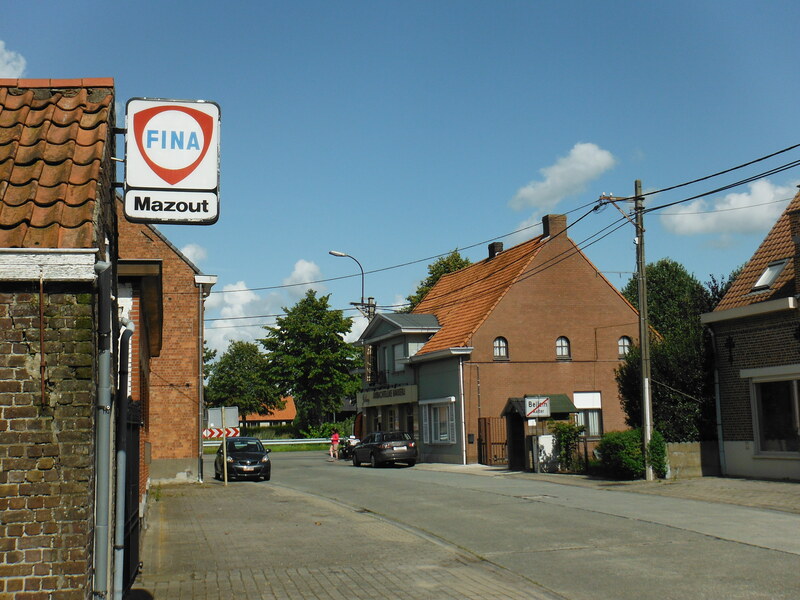 In the first instance it follows the N50 (Baron Ruzettelaan) due south (the Youth Hostel and bicycle shop are on this street). 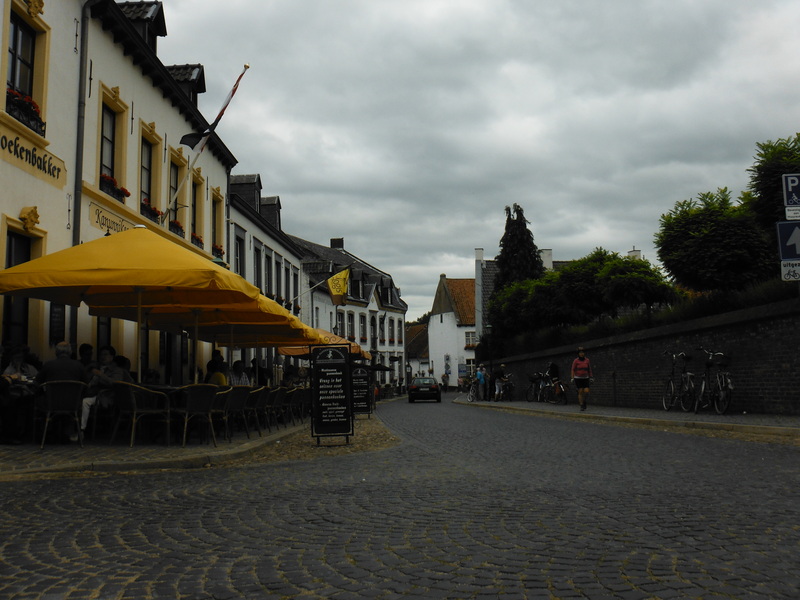 At Steen Brugge it turns south east and hugs the Ostende-Ghent Canal. There are tracks on both sides and plenty of café/bakery opportunities for refreshment. There is also a mixture of meadow and woodland landscapes with their microclimates. One of advantages of riding a bicycle the likelihood of encountering objects that come from an earlier, albeit modern, era. 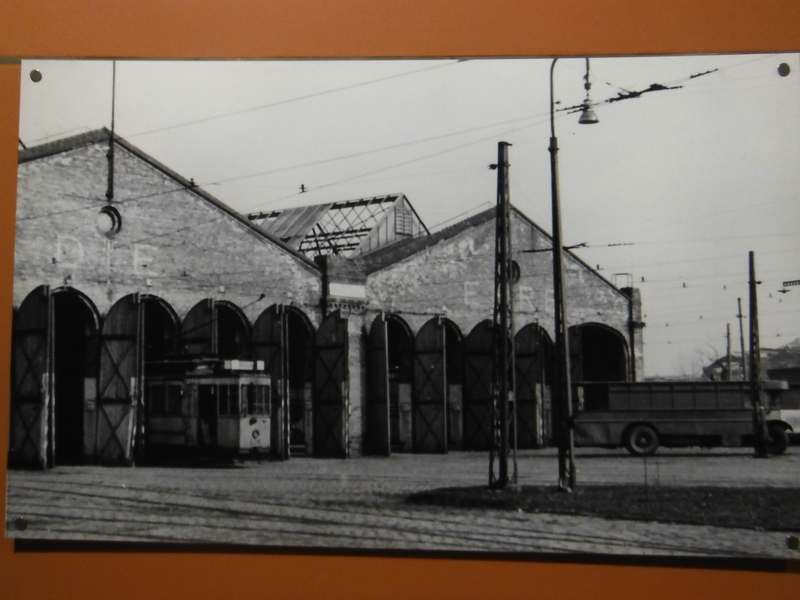 So, whilst stocking up on food in Bellem, I spotted an old oil company sign that framed a picture for me (right). The approach Ghent is also along a canal. The key decision is when to leave the canal and head into town (for us, we were keen to find the tourist information centre). 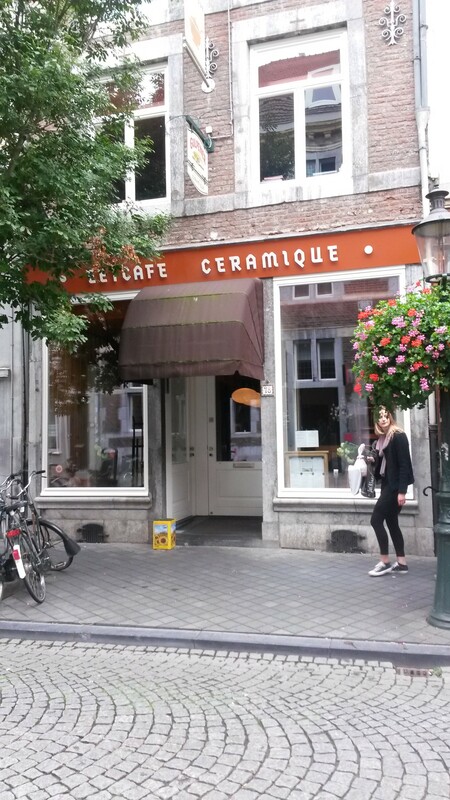 A bit of local knowledge was sought from a restaurant masquerading as a hotel (another feature of Flanders) and in we went along Hoogstraat. 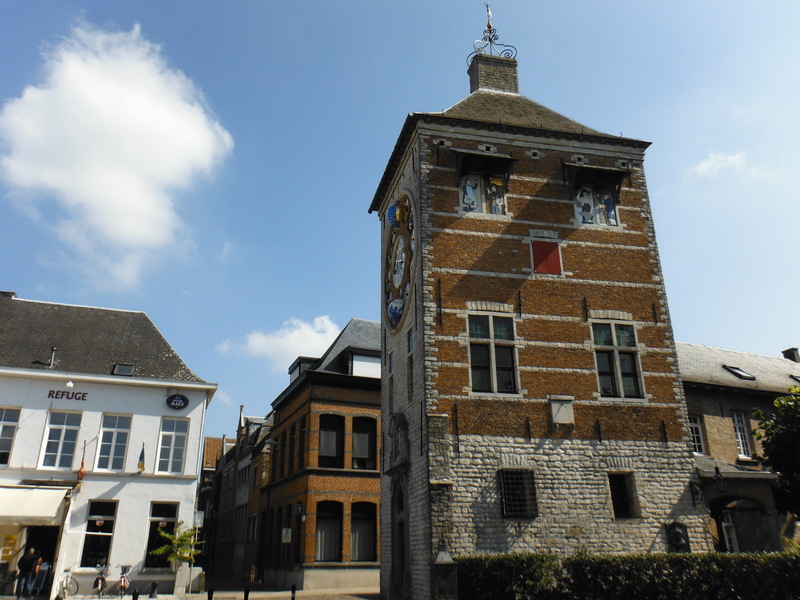 The Tourist Information Centre is located adjacent to the castle (Gent Gravensteen). 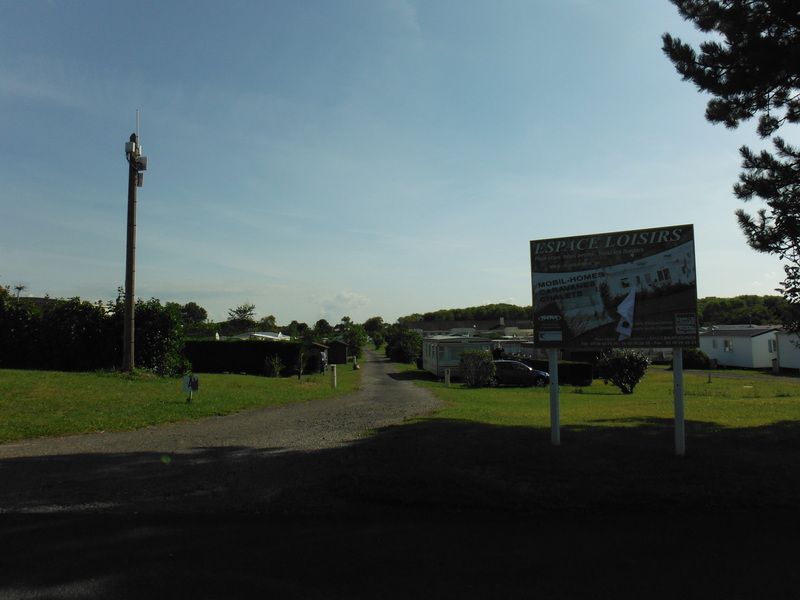 We opted for the campsite (Blarmeersen) which is part of a very large sports complex in the South West of the City. 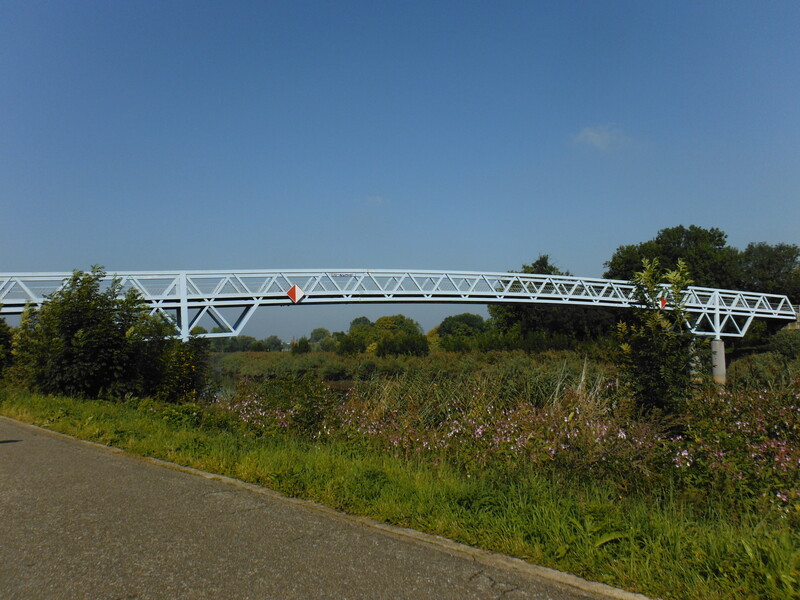 It is relatively easy to find if the canals are used as a guide. It took us about 30 minutes or so to cycle. On the way we had 50c extracted from us by a group of girls who essentially acted as gatekeepers to the path. 50c for a glass of apple juice or water, or no passing. A small price to pay for apple juice and, again, that invaluable local knowledge. The campsite is the terminus for one of the bus routes into the city. One thing I am not keen on is getting back on the bicycle to cycle in to town. Once the tent is up, for me, that is it, mobility is provided by some mechanical traction until the next day. 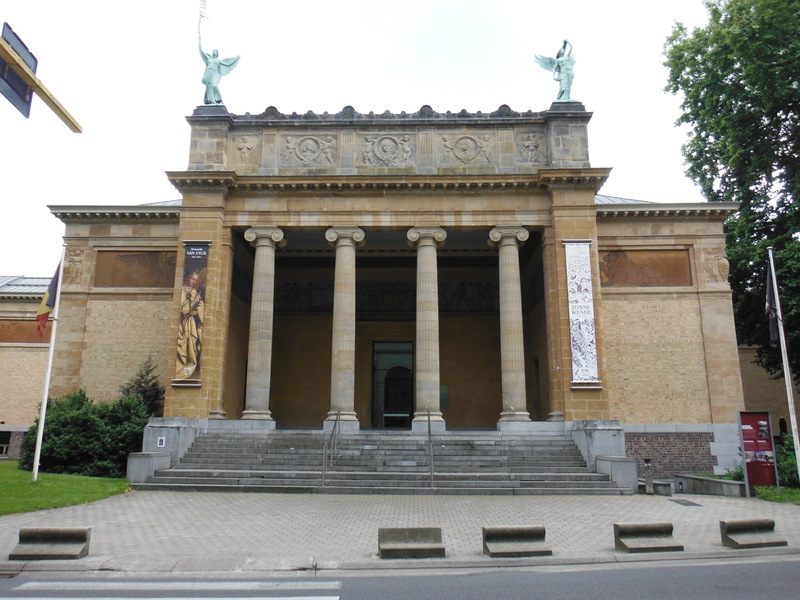 We took a day out in Ghent to visit the fine art gallery in the Stadtpark (Museum voor Schone Kunsten, right). 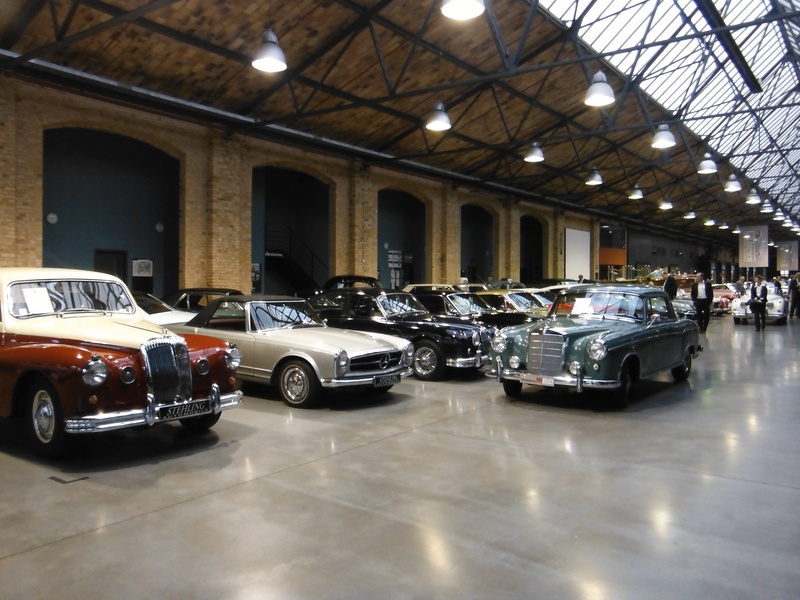 The contents of the gallery will be the subject of another post. Suffice to say, it hosts influential and historically important paintings from some of the region’s most famous artists. 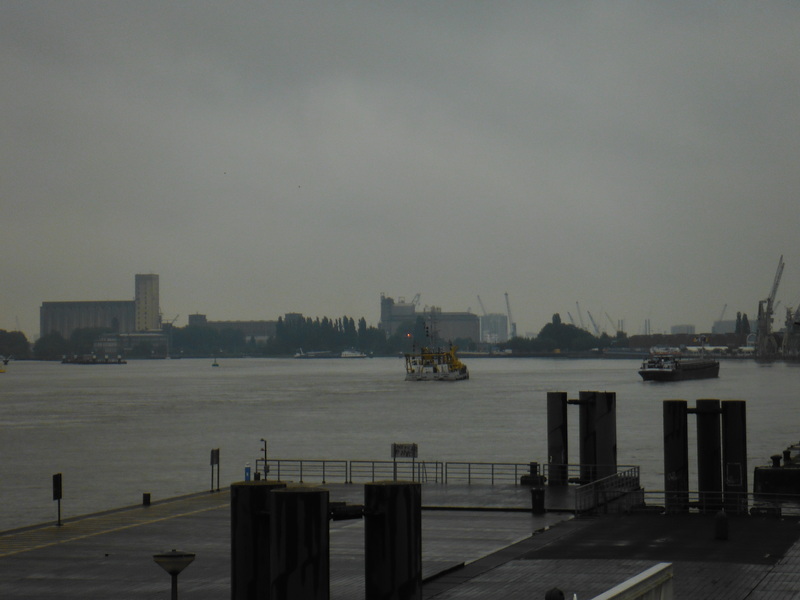 Our ferry was scheduled for 12 noon from the East Dock. Bicycles are treated as vehicles and riders have to queue rather illogically with cars, trucks and motorcycles (below right). It is hazardous getting to the queue. The crossing is 90 mins. The ferries are essentially floating motorway service areas. Functional. 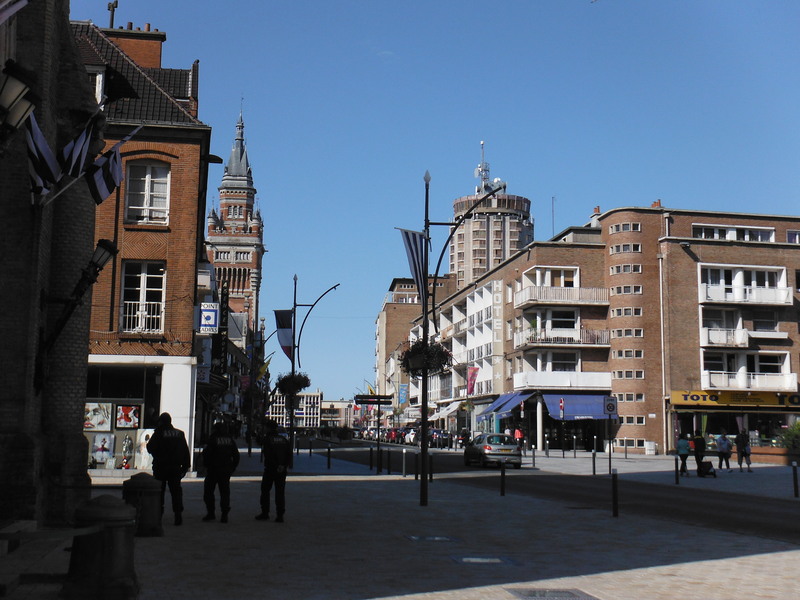 Dunkerque is an extremely cycle-unfriendly port. The disembarking trucks are driven with some abandon. There is no separation for cycles and no signs on how to avoid joining a motorway! 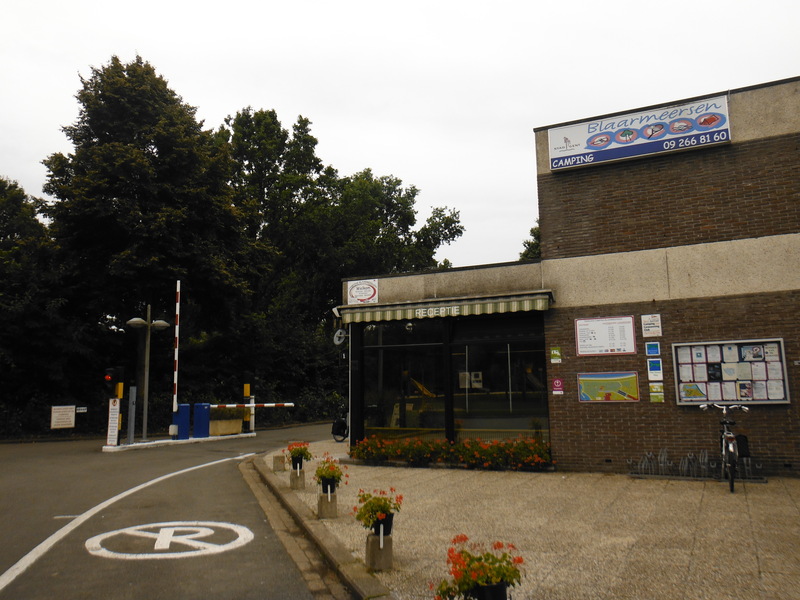 Essentially, we had to guess how to get to Dunkerque (such contrast with Rotterdam with its dedicated tracks and countless direction signs). Our advice, turn left off the first roundabout and go the wrong way up a one way road for about 50 metres. 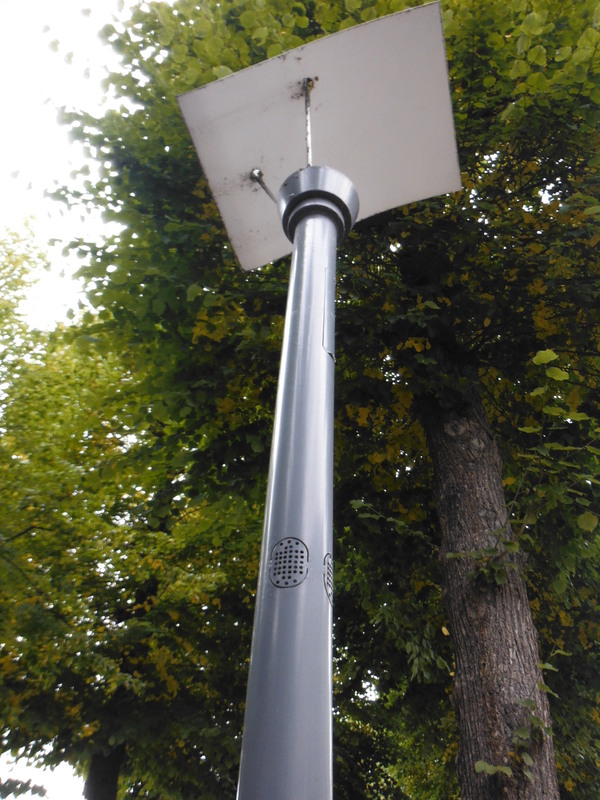 Follow the now two-way road (Route des Dunes) along the canal (on the left) and turn right on to Route de Mardyck along which a cycle track crosses at the junction of the D601). 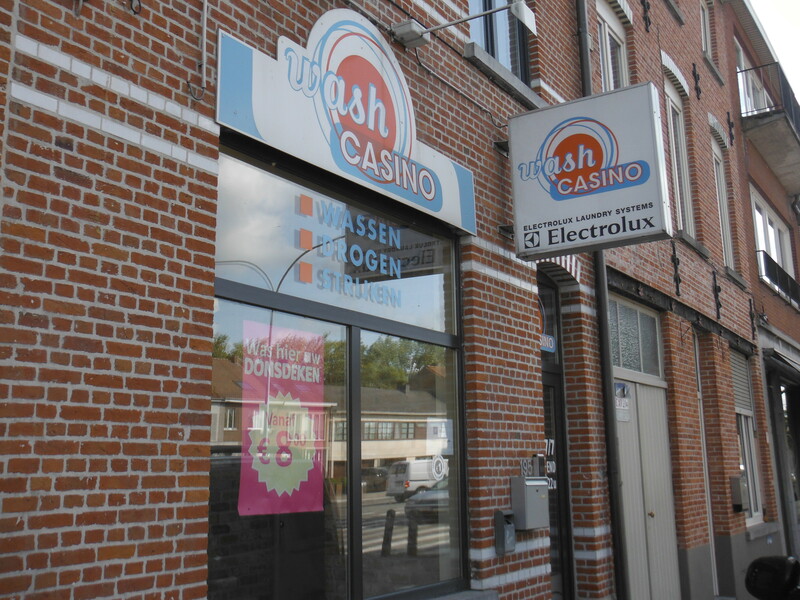 Dunkerque is signposted and eventually comes (right). We then rode north towards the coast. The beaches are sandy and vast. The promenades all along the coastline are busy and not particularly easy to navigate in the summer season. There are plenty of potential campsites. 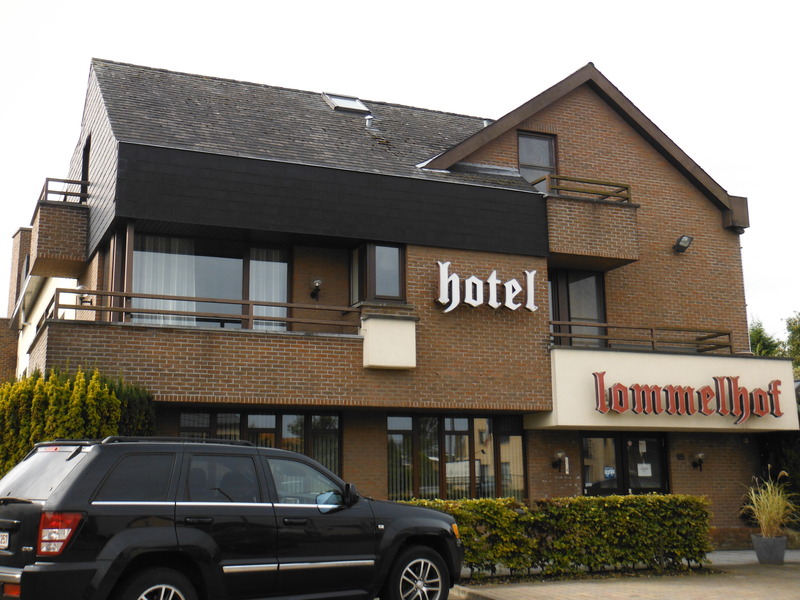 We again picked the wrong one (at Zuydcoote – I have written a separate post about the places we stayed here). We left wiser than on arrival. 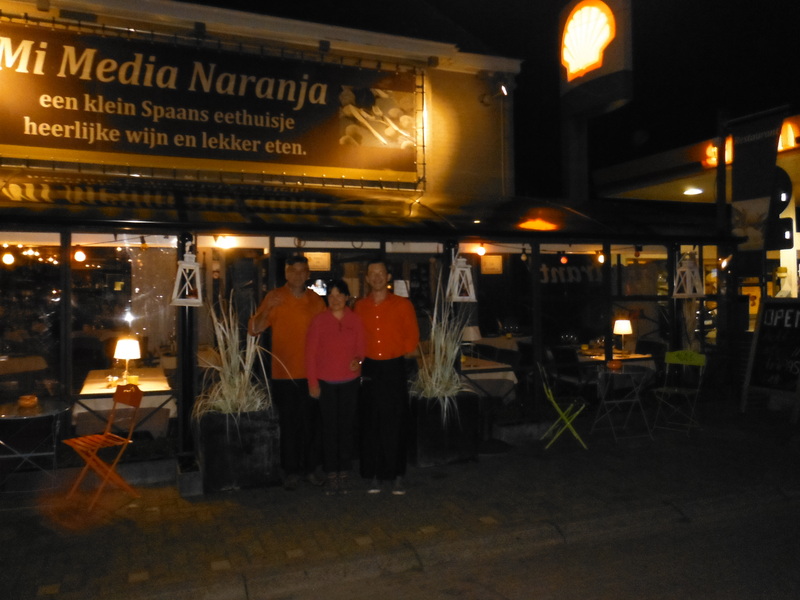 We had breakfast in a bar in the nearby small town of Brays Dunes before crossing the border at De Panne and rapidly made it to Oostende. 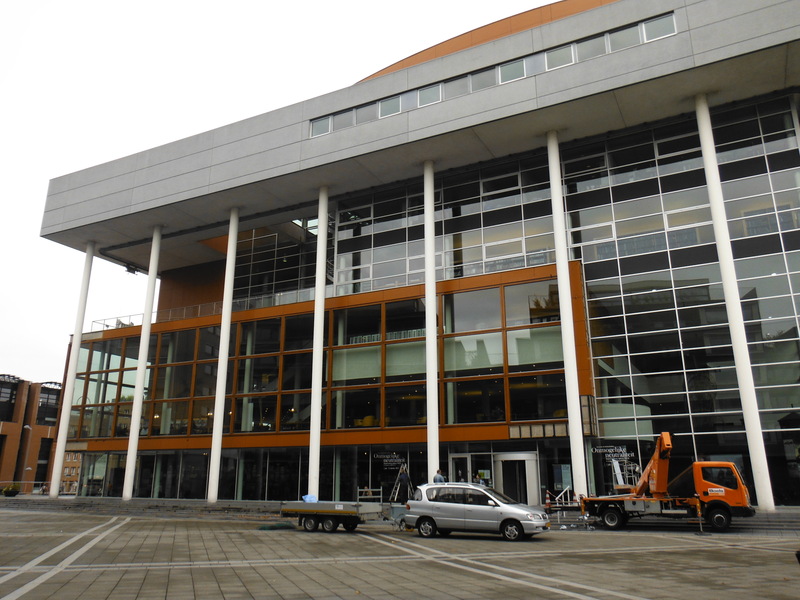 It is a port masquerading as a seaside town. 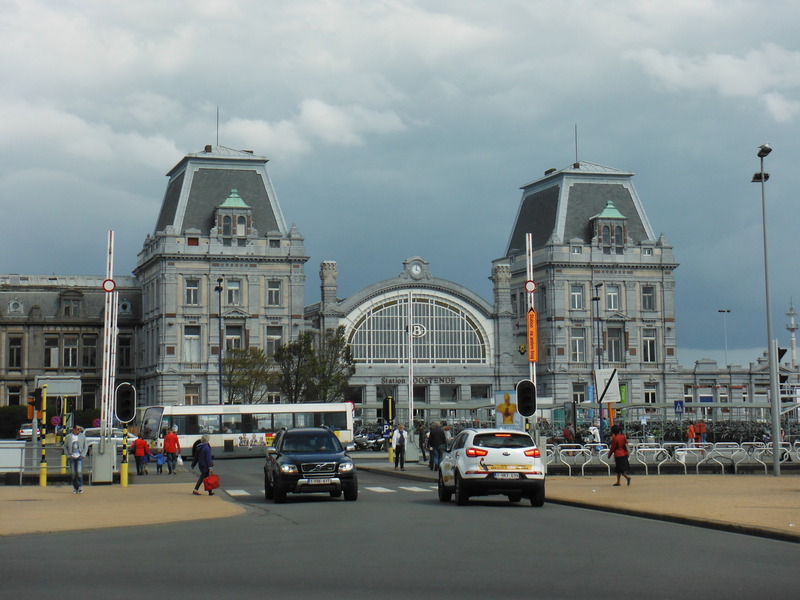 The railway station is architecturally notable (left). 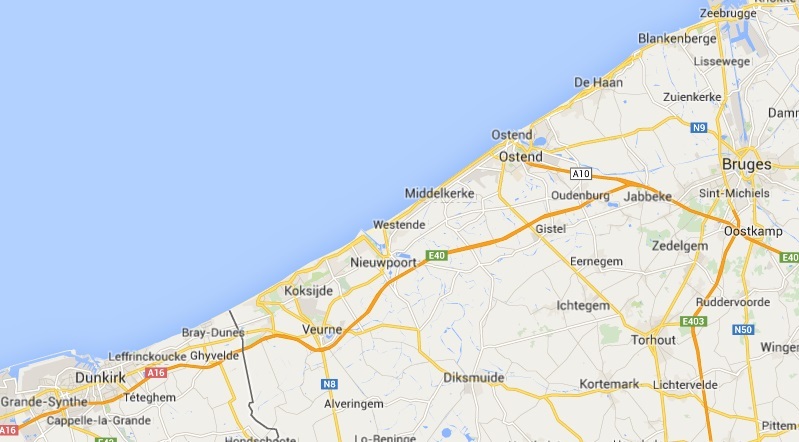 The Belgians share with the Dutch the ‘Knotten Punkten’ navigation method. Cycling by numbers, in a nutshell. Follow the arrow to the Punkt, and then follow the arrow to the next Punkt that forms the route that is to be taken. Fool proof. Largely. 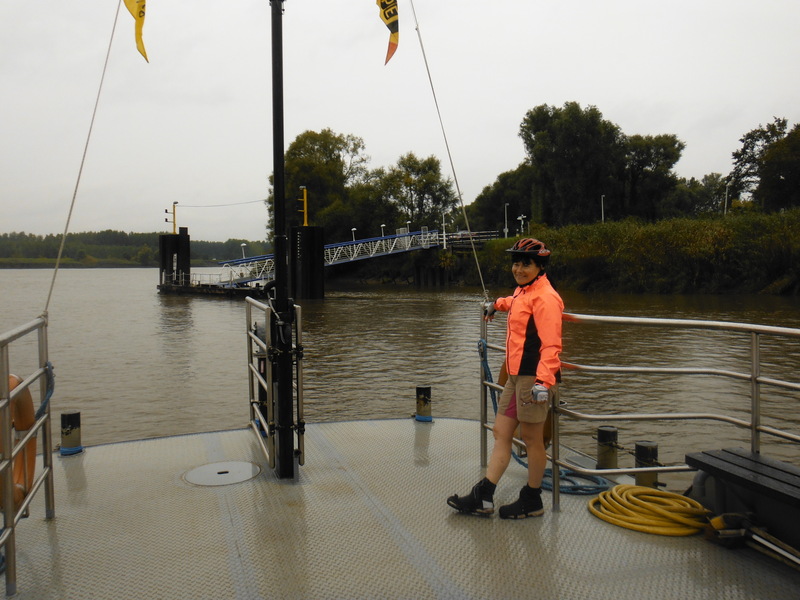 So, we ignored the direct route to Brugges and followed the route given in our guide, the Bikeline Flandern-Route. That took us back to the coastline through Blankenberge. We finally stopped at an extremely picturesque small town called Lissewege (with an enormous church) where we found a hotel and an eatery (right). Next morning, I discovered that we had a broken spoke on the rear. 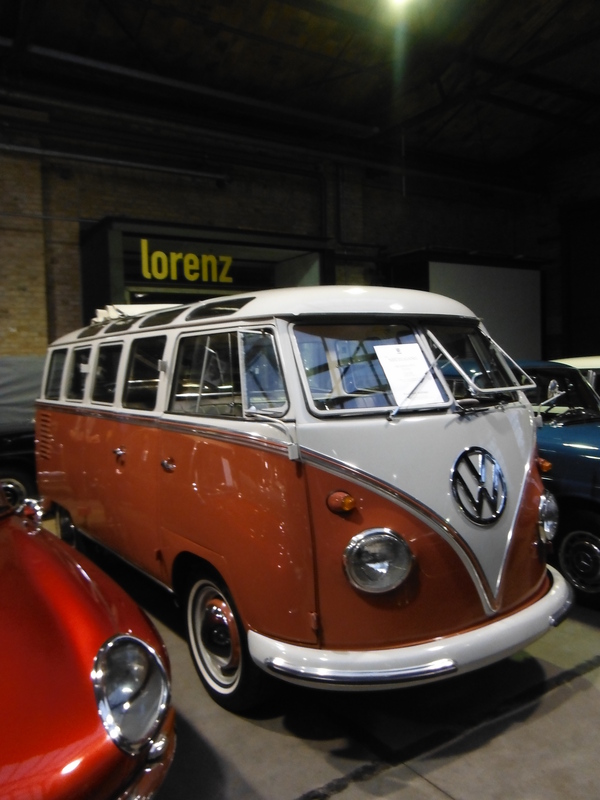 In Brugges, then, it was necessary to find a bicycle repair shop. 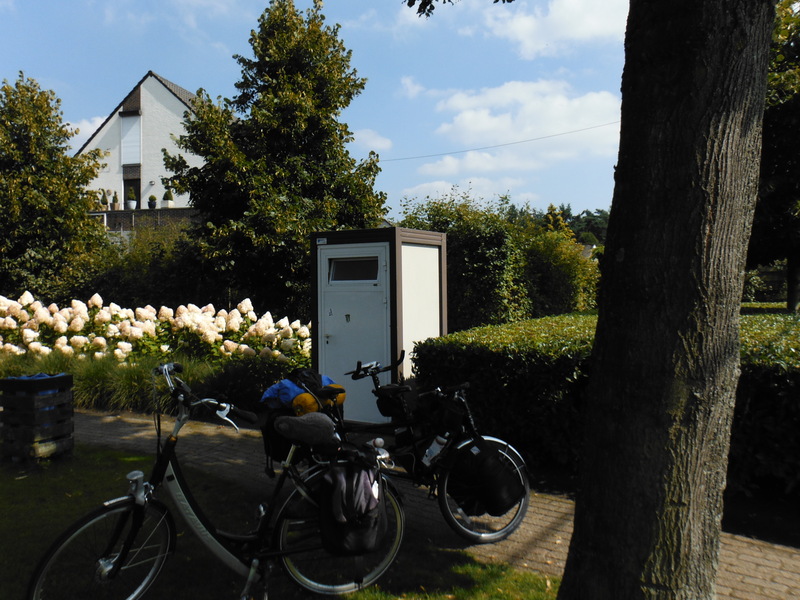 From Lissewege we passed through Dudzele and Damme (where a bakery and bar provided breakfast and coffee) before entering Brugges from the north east. We kept a keen eye out for cycle shops. in the rain. Cycle shop owners know each other. “I cannot do it, but I know who will do it for you”. 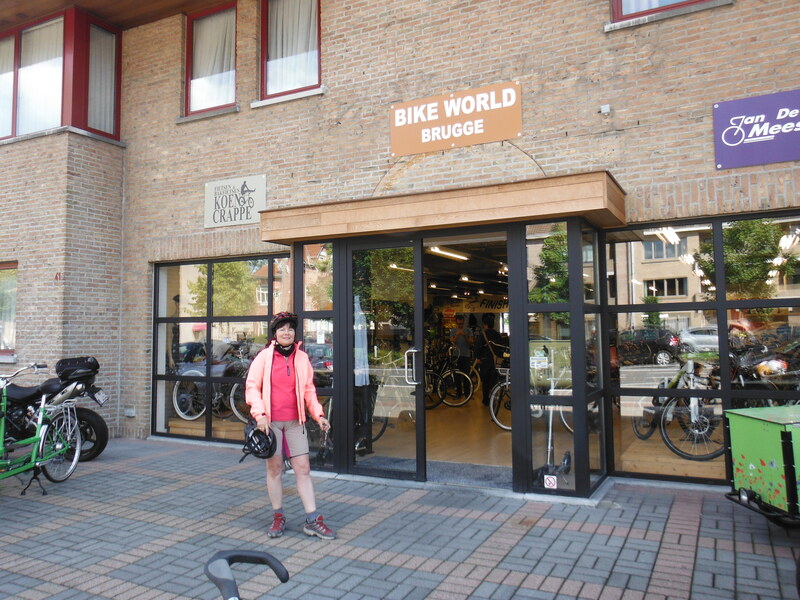 OK, but then being unable to find said workshop and stumbling across another shop, albeit without a workshop, and finding out that the original recommendation was not recommended…we finally found Bike World (on the N50 heading south out of the city). They are brilliant. Whilst they could not do it immediately, it was ready by 11 the following morning. They fixed the out-of-synch gears as well. All for 20 Euros. 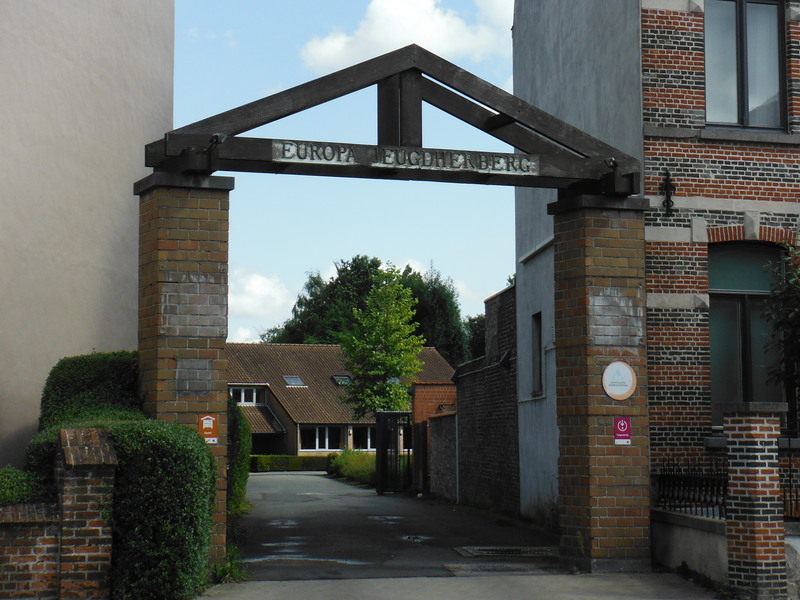 Down the road was a youth hostel. 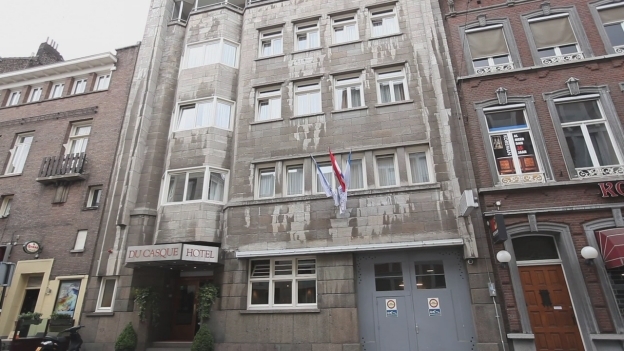 That is where we stayed. 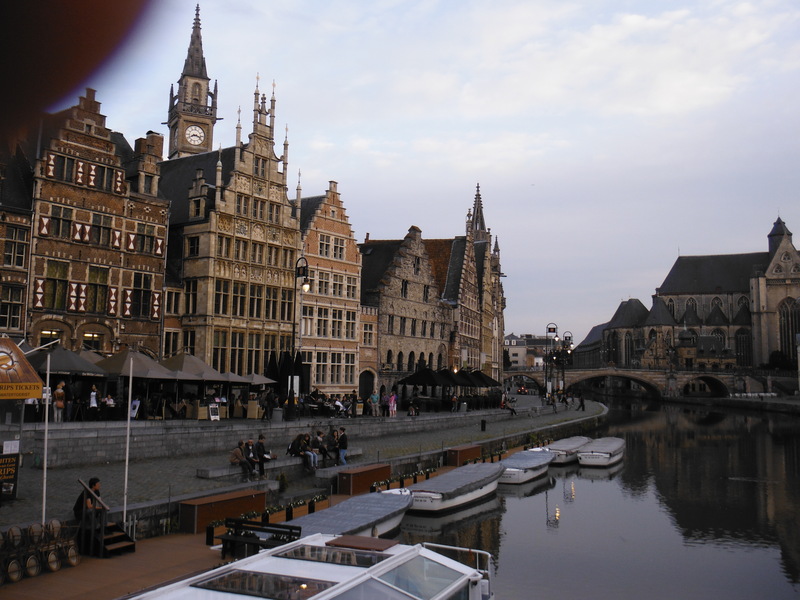 And spent the afternoon/evening in Brugge. I’m not going to write too much about Brugge. It is picturesque, historic and full of tourists. And fast-moving horses and carriages. 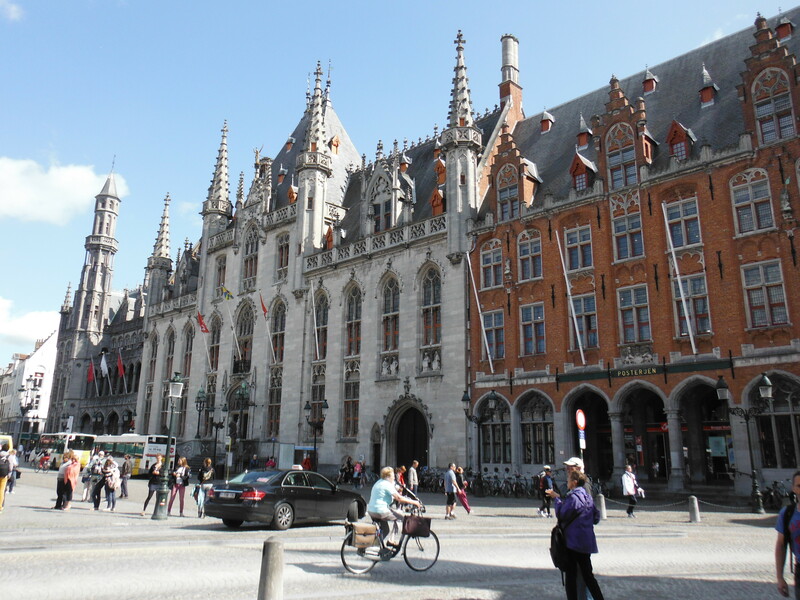 The main square boasts fine examples of classic Flemmish architecture and civic grandeur. 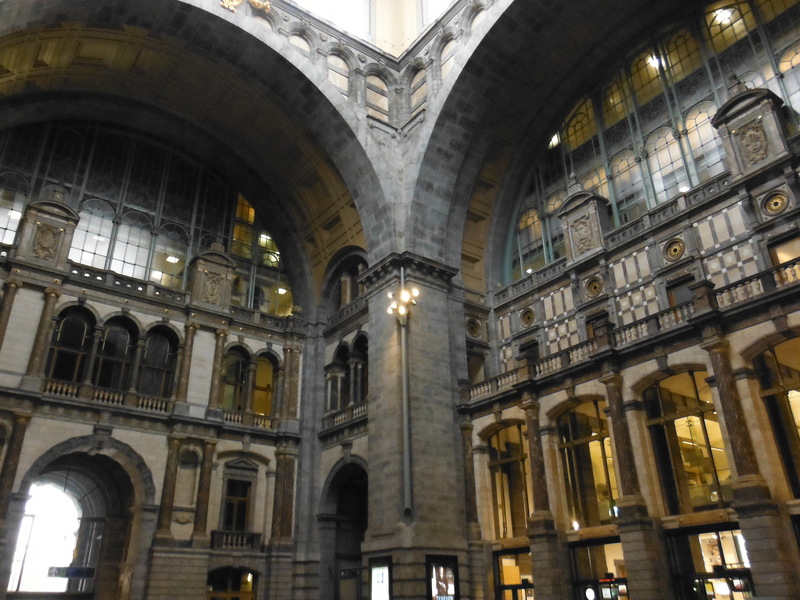 But we had decided to crack on and immerse ourselves in the nearby historically competitor city, Ghent. 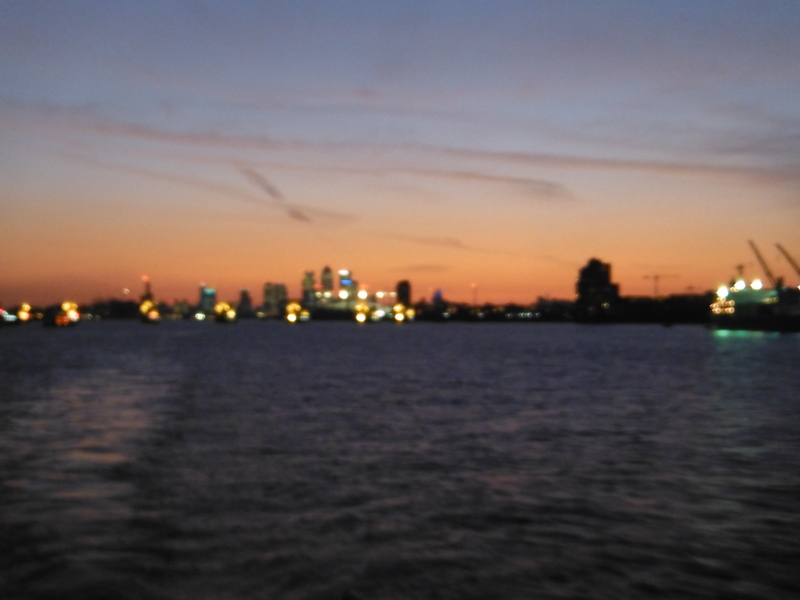 In previous years we have used the ferry between Hull and Rotterdam. This time, having moved to Hastings on the south coast of England, we decided to cycle to Dover and make the short crossing to Dunkerque en route to Belgium. At £10 each, with DFDS, it is a bargain. 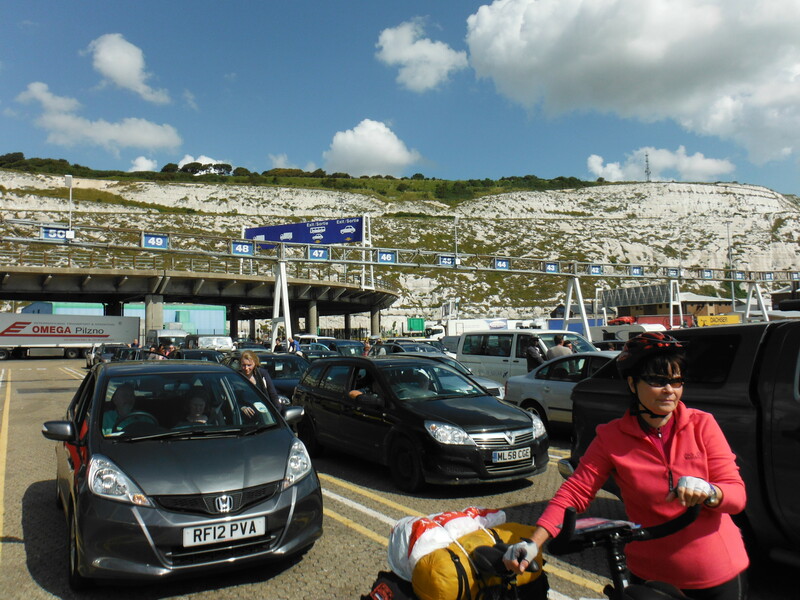 Getting to Dover, however, illustrates just how far the English are from providing safe and enjoyable cycle routes. 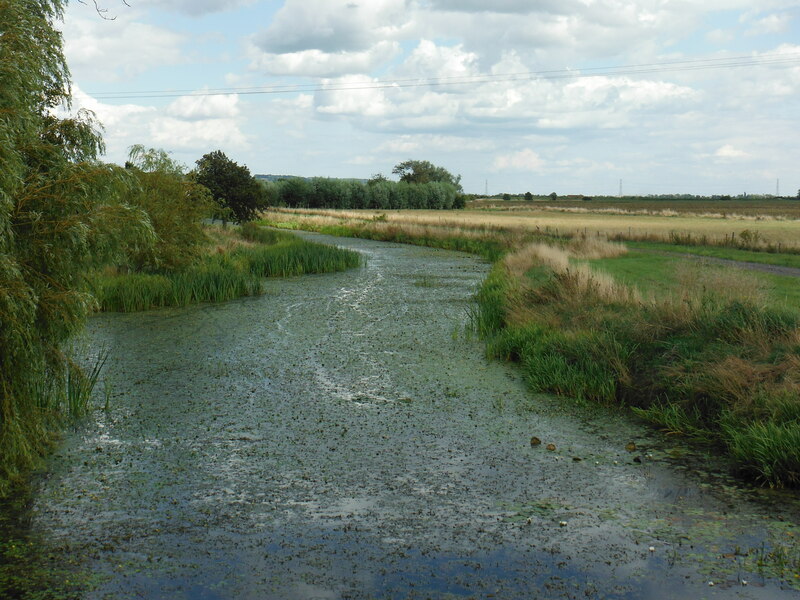 For example, the Royal Military Canal (right), flowing from Rye to Hythe (see map, above left) is an obvious potential route for the National Cycle Route 2. But alas, no. 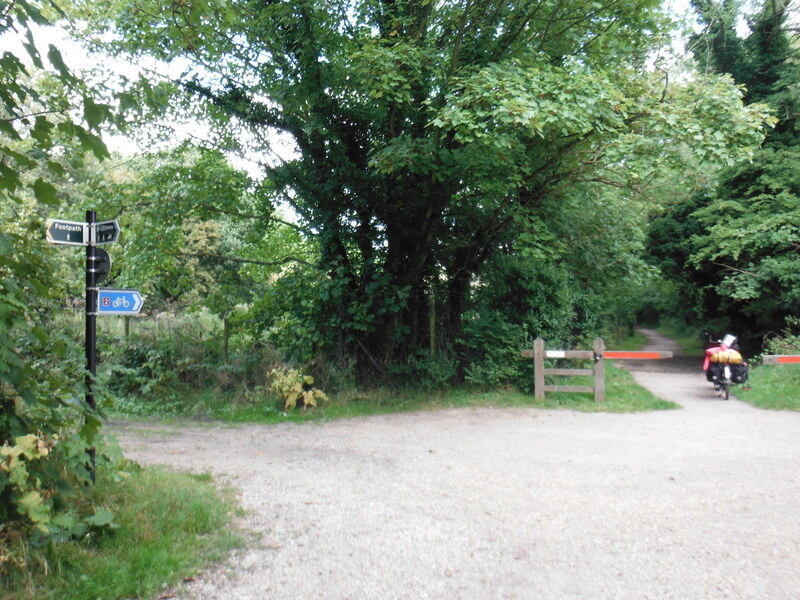 Private land ownership means that the cycle route has to weave around – albeit quiet roads – only being granted access in the approaches to Hythe (below left). We had to cheat on our first day. We were unable get away before 1400. We took the train from Hastings to Ham Street towards Ashford (the Class 171 trains used on that route can accommodate a tandem with ease). Once into Hythe, the cycle route takes riders on to the promenade which is wide enough to share comfortably with pedestrians. And then through Folkestone where, unfortunately, it is necessary to join a busy road that climbs out of the town in the East. The route then provides a dedicated track up to a quiet road (B2011) that runs parallel to the busy A259. It provides a rewarding view over Folkestone by way of compensation. Past the Battle of Britain memorial, through Capel le Ferne downhill in to Dover. If wanted. However, we followed the coast path which is a shade rough but worth the effort. We’d booked a B&B just outside Dover on the B2011, so we had to make our way back. There is a route under the A20 and a non-public road down. The gradient is significant. Unfortunately, it ends with a locked barrier. For single cyclists it is unproblematic. A fully loaded tandem, unfortunately, has to be unloaded in order to thread it under the barrier. 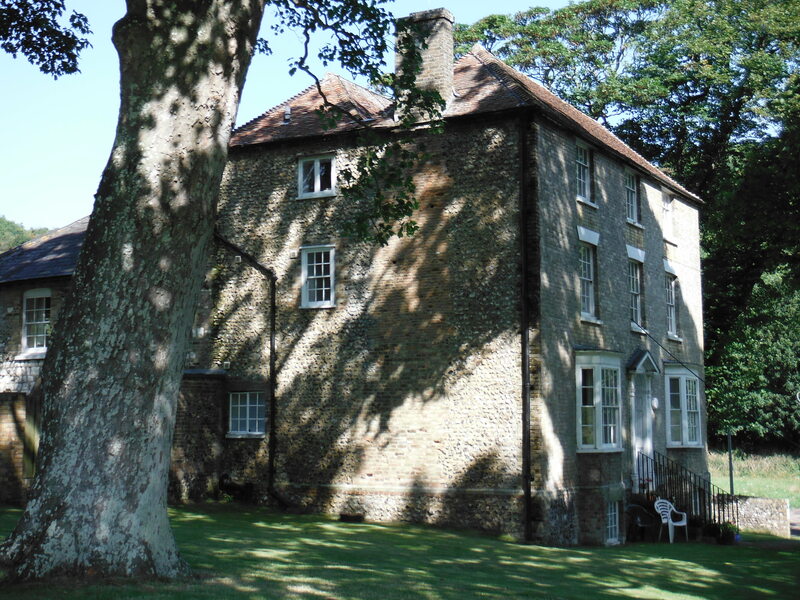 The B&B (Farthingloe) was, however, adjacent. A mixed 35 km for our first half day. 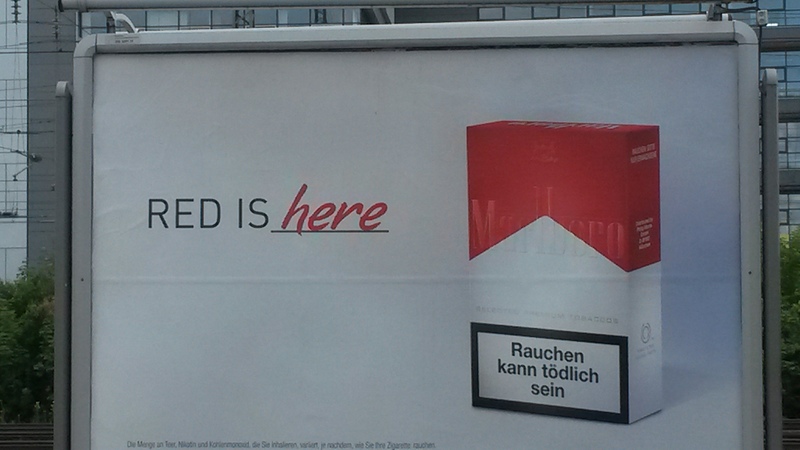 Marlboro seems to be capitalising on cleaner packaging design. It started in the summer with the “Red is here” announcement (left). This has now migrated to the “Don’t be a Maybe” campaign which has a new impetus with the “I changed the Game” man. Which game, we might ask? It looks like some sort of desert endurance. The brand is global, so there must be easier ways of getting a fix. 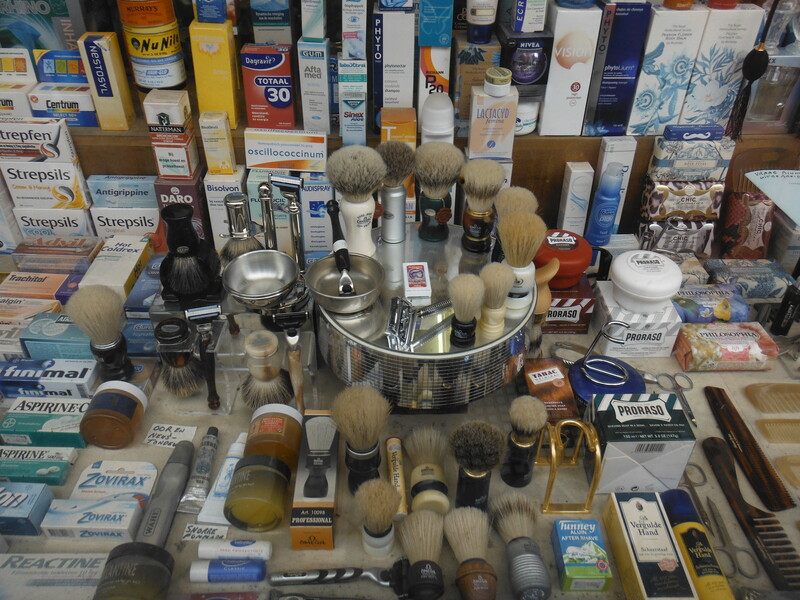 A shop, perhaps! With the new packaging, clearly, endurance man is not always necessary. 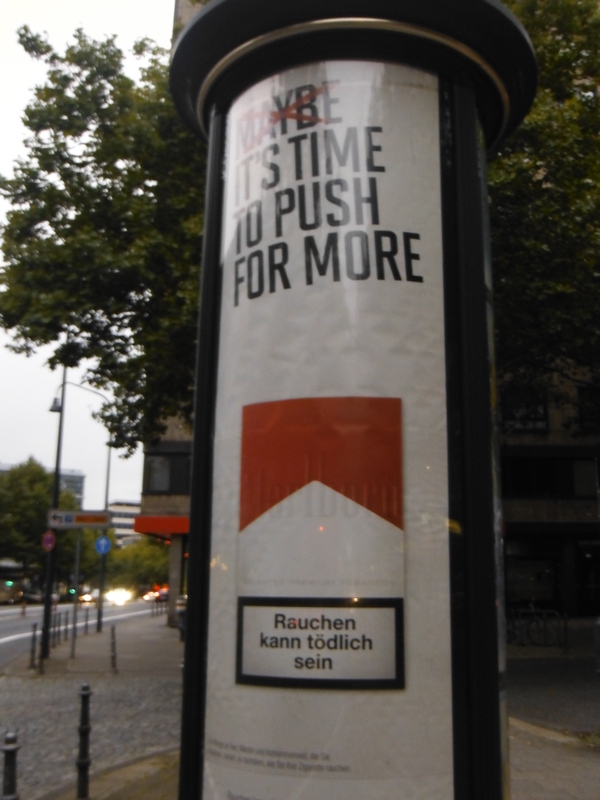 It is enough to push for more nicotine, tar, carcinogens and cold outdoor shelters (if you are lucky) outside pubs, offices and hospital waiting rooms.